A criminal background check identifies criminal convictions at judicial level. Crimes processed at the judicial level include crimes that occurred on federal offenses such as tax evasion, mail and wire fraud, drug trafficking, immigration law violations, postal offenses, embezzlement, robbery, and kidnapping. Speed networks specialize in the investigation of financial crimes such as bribery, conflict of interest, embezzlement, fraud, forgery and money laundering. 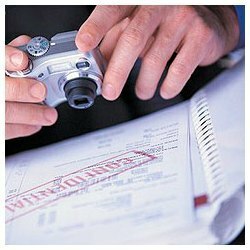 We will identify, document and pursue individuals and organized groups engaged in the conversion and concealment of your assets. In present scenario the corporate sector is highly susceptible to frauds, cheating and embezzlement by their employees. We detect these with the help of our trained and professional men. We ensure that adequate thought leadership input is provided to its clients, leading to concrete steps in enhancing firm’s value. •: •: CPCA’s may choose to be self employed, or may seek employment with Banks and Credit unions; Government agencies; Businesses; Nonprofit Organizations; Accounting Firms; Auditing Firms; and a variety of other areas. A huge amount of revenue is lost by organizations due to frauds. Our experienced team of investigators will provide you with solutions to fix this complex problem. RDA investigates all types of frauds, cheating and embezzlement by providing you reliable proofs that you can use in the court of Law. We undertake the mission carefully ensuring secrecy utilizing all the possible resources for such detections and collecting prrofs. NBI is an expert in taking up any contract which is viable for its clients, whether it is, employee surveillance, competition or surveillance of total business operations by providing intelligence to the management. We offer Corporate Detective Services which include close watch either on the activities of your loved ones or the family members, embezzled funds, theft of proprietary information, or theft of property, we have the capability to easily resolve these issues as well as identifying the actions occurred, the involved person, and instituting procedures to defeat any future attempts.